Overview: The Decay start off Chapter 3 in quite the predicament, with their leader, Arch-Lich Floyd, trapped in the deepest, darkest dungeon. Time for you to take control of the Decay to fight against the Highborn and figure a way out of this pickle! Highborn is a casual, turn-based strategy game, perfect for gaming on the go, or for anyone looking for an intelligent, tactical experience without the frenetic play of a traditional real-time strategy game. 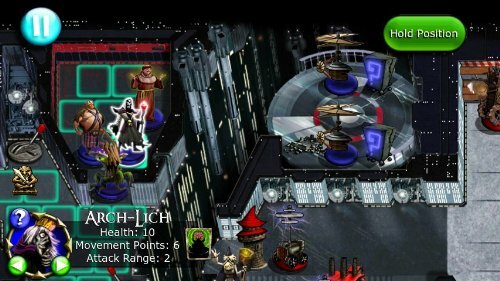 Highborn features two types of strategy games in one. Move your army around an overhead map to capture points of interest and receive spells and combat support; then dive into 3D combat to deploy those advantages against an unsuspecting enemy! All the fun and fighting is set against an irreverent take on the classic good-versus-evil tale. Eight wacky heroes banter about, trading dialogue full of miscommunications and outrageous assumptions. 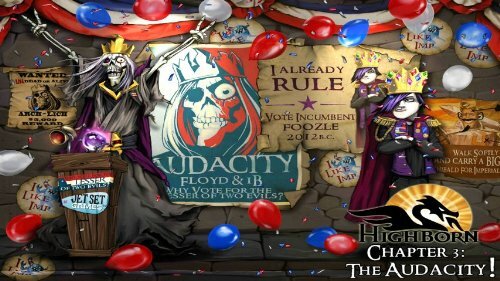 0 Komentar untuk "Highborn Chapter 3 v1.3.7 apk"